Wrapping and Shrinking packaging to create a finished product. First, sealed in a bag using the L bar sealer, the package then moves to the shrink tunnel where the film is heated and shrinks around the package. Shrink wrap machines are used to provide a transparent, tightly wrapped package. 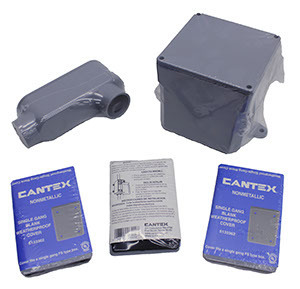 Practical and cost effective, shrink packaging is great for packaging boxes, cartons, multi-packs, and beverage cans. The Automatic L Bar Sealer and Shrink Tunnel System was used to package a variety of electrical components: electrical boxes, joint boxes and plates for display in retail. The shrink package allowed for the customer to provide a better package appearance in the retail store. The package also helped secure loose screws and gaskets. For the corner joint boxes a 75 guage film was used to prevent the loss of screws from puncturing the ends of the film. The customer selected Heat Seal's Automatic Shrink System because it provides faster speed than their previous system, and the conveyor was used as an assembly line space - to add the gaskets and screws before entering the automatic L sealer area. 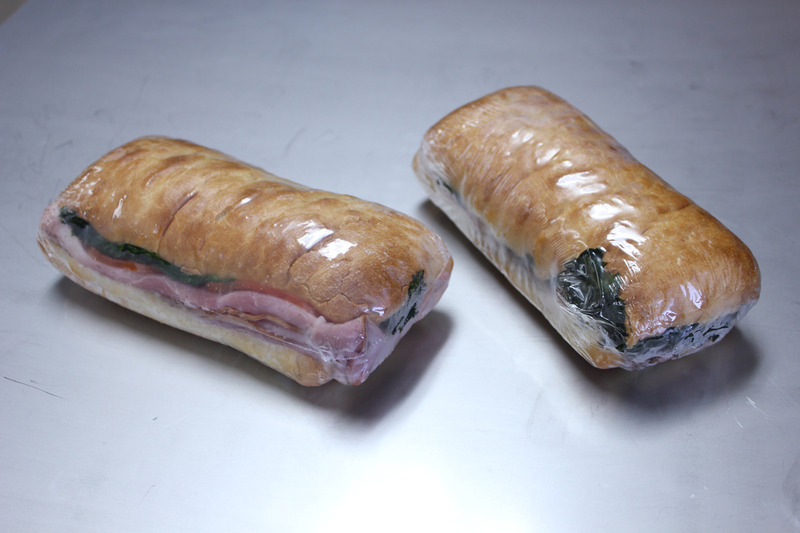 The Automatic Shrink system was perfect for wrapping higher volume sub sandwiches. Sandwiches were made upstream and placed on Heat Seal's FDA approved infeed belt, where it would then go into the L bar sealing area to be wrapped. Following the shrink wrapping process, the sandwiches were labeled and refridgerated for food retail. 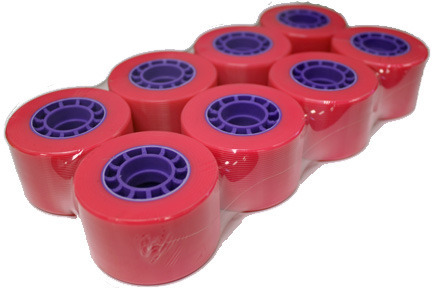 A HDS115 shrink combination system was used to create multi-packs of roller skate wheels. Using a heavier guage film on an L sealing machine to tightly wrap this heavy product and to prevent shifting product, once it passes through the shrink tunnel, this package is secure and clean looking with great optics for retail packaging. This customer used an HDS215 shrink wrap machine to wrap a variety of round containers of beauty products. Creating multipacks for warehouse club stores and retail, the HDS215 shrink combo expertly packed sets of three round bottles of shampoo, conditioner, and leave in treatment, three packs of leave in shine spray and three containers of hair strengthening cream. Food packaging is a hot market right now, with a variety of applications from cookies to pizza, boxes of muffins and other baked goods to raw meat from a processor. 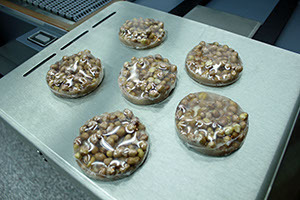 With shrink packaging, the package is typically bagged with a perforated film for air evacuation during the shrinking process. 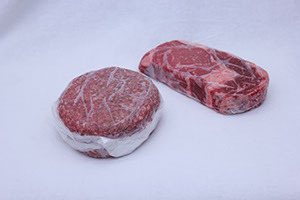 For shrink wrapping food applications, especially raw meat packaging, a single hole is created on the top or bottom of the package to prevent leaking and excess air transfer. Often times the meat is double wrapped and a label is stuck over the hole. Different films are available for specific food applications, for example some films vent in one direction while others are micro perforated to prevent moisture build up.